The ALG Defense six second mount doesn’t have too many holster options at this point. 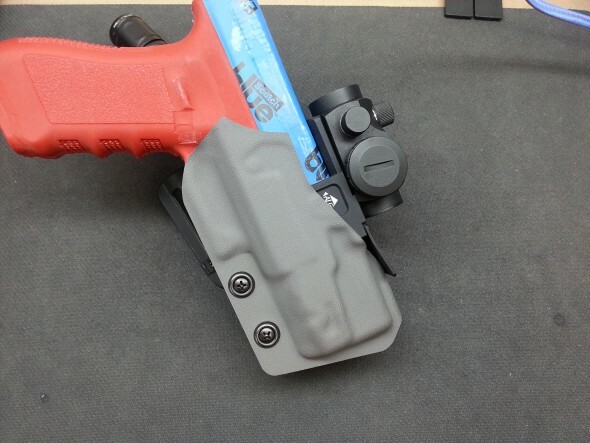 I ran down to Vigilance Tactical in PA to get a holster for the SSM and I was sent a photo of the work in progress prototype. This will be the race holster I will use in USPSA Open division with my G17. I can’t wait to see the final product. Expect a full review of the SSM and Holster soon!